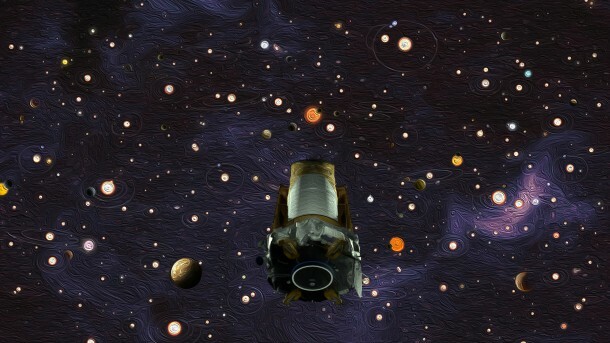 After nine years in deep space collecting data that indicate our sky to be filled with billions of hidden planets – more planets even than stars – NASA’s Kepler space telescope has run out of fuel needed for further science operations. NASA has decided to retire the spacecraft within its current, safe orbit, away from Earth. Kepler leaves a legacy of more than 2,600 planet discoveries from outside our solar system, many of which could be promising places for life. 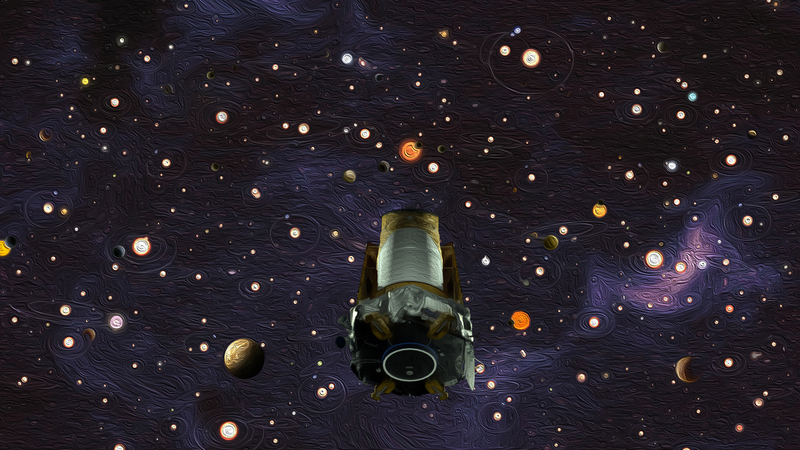 Kepler has opened our eyes to the diversity of planets that exist in our galaxy. The most recent analysis of Kepler’s discoveries concludes that 20 to 50 percent of the stars visible in the night sky are likely to have small, possibly rocky, planets similar in size to Earth, and located within the habitable zone of their parent stars. That means they’re located at distances from their parent stars where liquid water – a vital ingredient to life as we know it – might pool on the planet surface. The most common size of planet Kepler found doesn’t exist in our solar system – a world between the size of Earth and Neptune – and we have much to learn about these planets. Kepler also found nature often produces jam-packed planetary systems, in some cases with so many planets orbiting close to their parent stars that our own inner solar system looks sparse by comparison. NASA’s Ames Research Center manages the Kepler and K2 missions for NASA’s Science Mission Directorate. NASA’s Jet Propulsion Laboratory in Pasadena, California, managed Kepler mission development. Ball Aerospace & Technologies Corporation in Boulder, Colorado, operates the flight system with support from the Laboratory for Atmospheric and Space Physics at the University of Colorado in Boulder.